Limited Time! 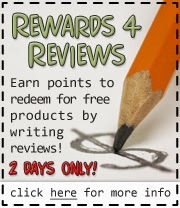 Rewards 4 Reviews! Thank you to all of those who participated! This promotion has ended. Please allow up to 2 weeks for your points to be processed. Have you found a product that you love? Maybe one that didn't quite work for you? Write reviews and help other parents make educated buying decisions and earn rewards points towards FREE diapers! For every approved review, you will receive 12 points with a maximum of 20 reviews. Any abuse of the promotion and criteria will result in immediate loss of reward points. · Program starts 6/10/13 and ends 6/11/13. Nicki’s Diapers reserves the right to end the program at any time. · Reviewer must have or create a Nicki’s Diapers account and use same email address on review. · 12 points are awarded for each approved review with a maximum of 20 reviews. · If a review is not approved, an email will be sent to reviewer with criteria stated. · No combining rewards points from different accounts. · Only 1 account holder per household can participate in the Rewards for Reviews program. · Please allow up to 2 weeks for review processing and to receive your reward points. · 225 points minimum to redeem. · Customer must redeem their own points. · Reviews must not contain profane language. · Reviews must be constructive. Any inappropriate product bashing will not be approved. · Reviewer must have used product in order to write a review of it. · Reviews must be 100 characters or more. · No reviews about manufacturer defects. · 1 review per product per household.